Monegasque crew member Pierre Casiraghi sailed to home waters victoriously today with Esimit Europa 2 at the Giraglia Rolex Cup. As one of the helmsmen with the multinational Esimit Sailing Team, he proudly sailed the yacht into the Port Hercule where the Yacht Club de Monaco, home yacht club of Esimit Europa2, is located. Monegasque Pierre Casiraghi, member of the Yacht Club de Monaco’s Board Committee, who was sailing as one of the helmsmen with the multinational Esimit Sailing Team, proudly helmed the yacht into the Port Hercule where the yacht club is located. After 24 hours, 35 minutes and 56 seconds of sailing (at 12:35:56 CEST), Esimit Europa 2 was for the fourth time first to sail over the finish line of the Giraglia Rolex Cup, which is its jubilee 30th consecutive line honours victory. 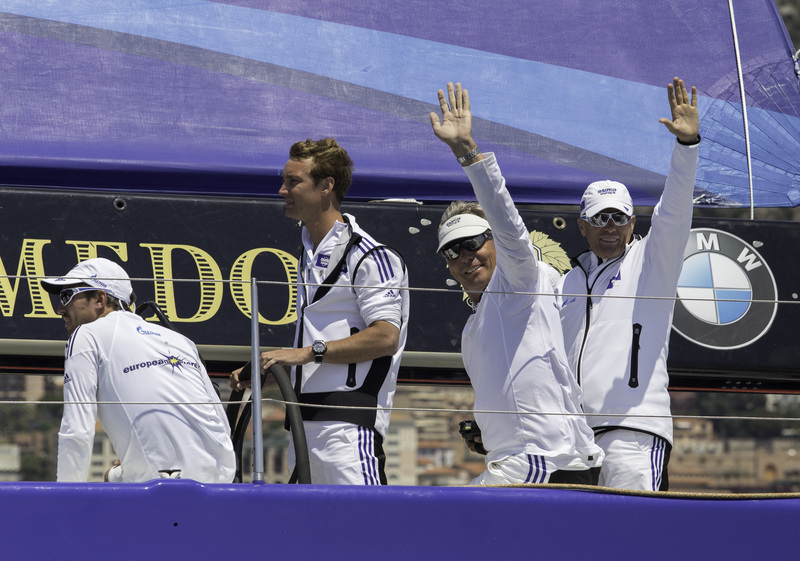 Monegasque Pierre Casiraghi, member of the Yacht Club de Monaco’s Board Committee, who was sailing as one of the helmsmen with the multinational Esimit Sailing Team, proudly helmed the yacht into the Port Hercule where the yacht club is located. Second over the finish line was Robertissima III (GB), and SFS (GRA) was the third. In a competitive fleet of 206 yachts representing 17 nationalities, Esimit Europa 2 started the offshore race at noon on 18 June on a course of 241 nautical miles, which was set from St. Tropez, around the Giraglia Rock, to this year’s exceptional finish in Monte-Carlo, where the opening of the Yacht Club de Monaco’s new clubhouse takes place. Skipper Jochen Schümann was satisfied with the results: "The beginning of the race was the most difficult one, because it was, as forecasted, a very light wind already at the start, but thanks to the right strategy, we were leading already after the first rounding mark and we took control of the fleet. We then left towards the open sea, while Robertissima III chose to sail along the coastline and picked better breeze, but later on we took the lead again and the breeze got better and better, so we had a relatively quick race from there.” He also highlighted the fantastic cohesion onboard: “The team did a great job and Pierre is a good sailor, he took the role of the helmsman in the watch system and he was clearly one of us." Helmsman Alberto Bolzan, who has been with Esimit Sailing Team since the beginning, and now joining the next Volvo Ocean Race with Alvimedica, on his last race with Esimit Europa 2 this season: "For me it was a great race before I take a break for one year with another project, but everybody will be happy to get together in the next season and I hope to bring some new experiences from the Volvo Ocean Race." At the prize giving on Saturday June 21st at noon, the trophies for first yacht in real time and the first yacht to round the Giraglia Rock are already secured for Esimit Europa 2. The Esimit Sailing Team set an amazing course record of 14 hours, 56 minutes and 16 seconds at the Giraglia Rolex Cup 2012, smashing the previous one by 3 hours and 6 minutes. The Giraglia Rolex Cup was organized by Yacht Club Italiano under the aegis of the Federazione Italiana Vela, the Fédération Française de Voile in collaboration with Société Nautique de St. Tropez, City of Saint Tropez, Yacht Club de France, Yacht Club Sanremo, Union Nationale pour la Course au Large and Yacht Club de Monaco. 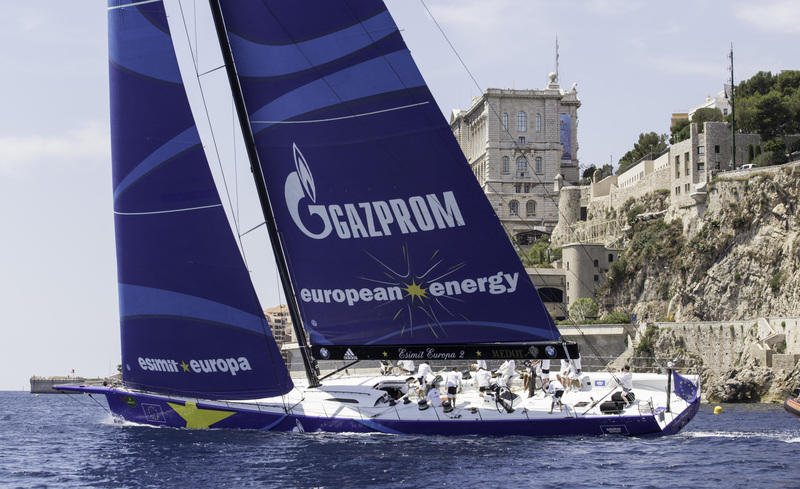 The Esimit Europa project which has been for almost 20 years successfully connecting worlds of sport, business and diplomacy, was founded by Igor Simčič and is today represented by the Esimit Europa 2 yacht, with its main sponsor Gazprom and official partner BMW. The project aims to promote cooperation among Europeans and to spread the sense of a common European identity through the unifying power of sports. Esimit Sailing Team is composed of 18 highly skilled sailors from 11 different nations who inspire the sailing values of teamwork, solidarity, innovation and collaboration. The Esimit Europa project is under the patronage of the President of the European Commission and has the official support of the President of the European Parliament, which allows the yacht to officially fly the European flag.